Digital Kitchen created a bold new brand identity to bring Origin’s old-school-meets-new-school story to life. 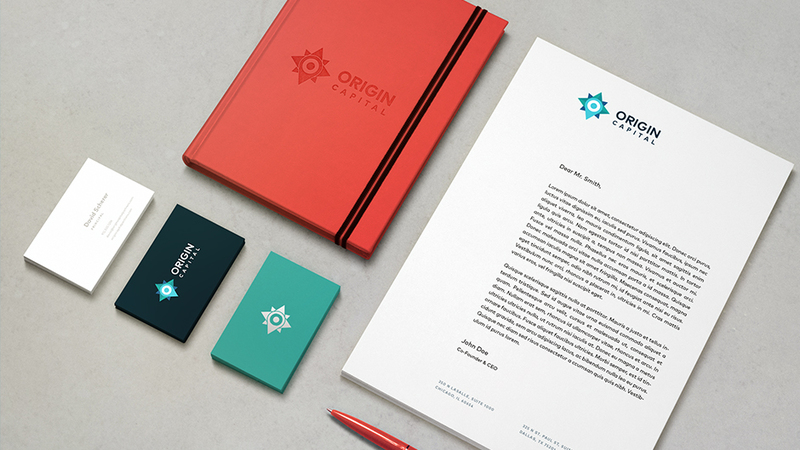 Before partnering with Digital Kitchen, Origin’s identity was established primarily through the use of their logo. So we started there and built outward to create a more powerful identity system—one that fully captures their hybrid approach to real estate investing: old-school street smarts meets new-school tech. We used the brand strategy, positioning and voice we developed for Origin to guide the development of each system element. We created a new logomark that captures Origin’s full story: real estate investment expertise combined with investor-centered technology. We gave them a new typeface and color palette that blends the classic and the modern. We created a new infographic style to make their data easier to understand, and a new photographic style to make their brand feel more genuine and approachable. And we brought it all together with a set of easy-to-use tools that help bring the brand voice to life across every touchpoint, from conference booths, to quarterly reports, to the web. Origin was built on a small set of relationships founded on the integrity and expertise of the firm’s two principals—David Scherer and Michael Episcope. To grow that investor base, DK had to build trust in David and Michael at scale. We created the “Aligned From Day One” anthem film to build that trust. It inspires investors by positioning Origin as a successful and disruptive force in the real estate investment space. The film pairs cinematic footage with bold graphics to showcase the discipline of Origin’s process, the people who are driving the company forward and the ideas that are changing the industry.